Brand: CK Products 90-14688 Units: 1 Dimensions: Mold cavity: 3¼" diameter x ¾" depth 3 cavities per mold. Approximately 10 pieces can be obtained from a pound of candy coating or chocolate. This mold says "THE BEST TEACHERS GET CHOCOLATE." 3 cavities per mold. Approximately 10 pieces can be obtained from a pound of candy coating or chocolate. 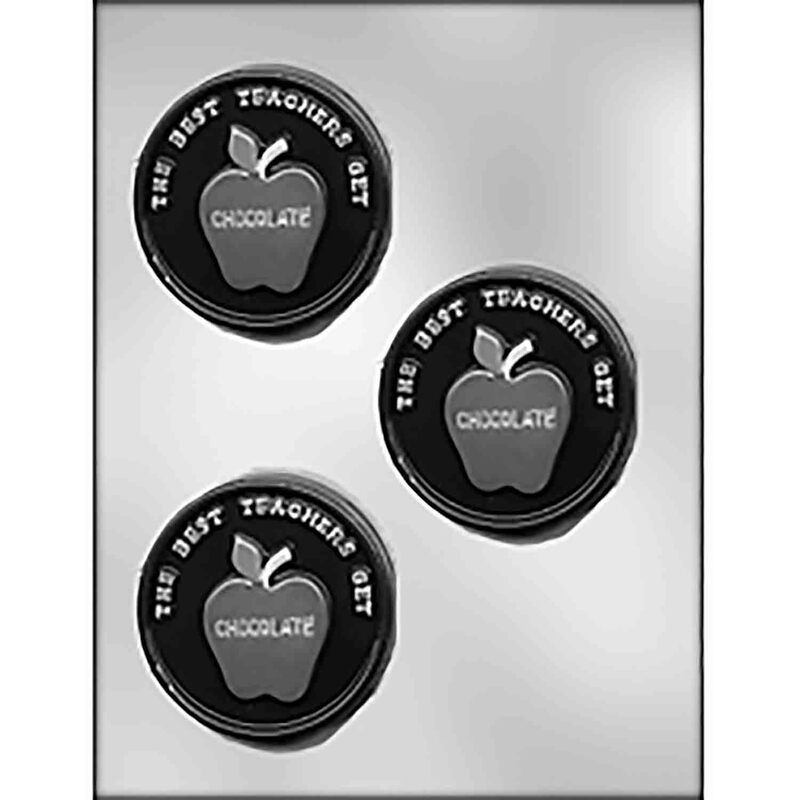 This mold says "THE BEST TEACHERS GET CHOCOLATE."